When you do your daily rounds of social media-hopping, you may stumble upon several businesses and brands enjoying a successful following on Facebook, Twitter and other sites. Curious (and a bit jealous), you might think it’s an effortless feat to accomplish, since there are so many of them scattered around the web. The truth is: setting up a team for social media marketing is not that straightforward as you think. Of all the companies surveyed, 27% have their dedicated social media team, while 65% delegate social media tasks on top of the regular job obligations. Only 3% of them outsource to social media experts. 25% of companies have interns help with social media. 42% of companies have only one person who works on social media, while 40% have two or three personnel. 25% of the companies say the most sought-after quality in social media marketers is experience, while 18% say writing skills. 45% say it should be both academic degree and experience. 86% of companies measure social media in terms of likes and followers. Only 5% of companies are highly satisfied with their social media campaigns. Other problems include lack of budget (41%), not prioritizing (39%), and even the thought that the task is too overwhelming (23%). When are the Best (and Worst) Times to Send an Email? Everybody loves social media, and more people are getting into blogging. But despite all this, email still remains as the go-to strategy in any marketing campaign. It never fails to deliver a goal, whether it’s leads, active interactions, warm business relationships, and even for new professional acquaintances. It simply is the most basic communication line in the corporate world. But while its effectiveness isn’t diminishing, the attention that it used to enjoy is now facing tough competition; prospects now have more things to attend to compared to 5 years ago, and that lessens the odds of emails being read at an optimum time. Most emails are sent from 6 a.m. to noon; the least amount occurs from midnight to 6 a.m. The hours that see the most click-throughs are 8 a.m. and 9 a.m., and 3 p.m. and 8 p.m. According to the study, the best time to send emails is when “customers are reviewing their inboxes”. This usually happens more during mornings and early afternoons. However, because of the apparent change in lifestyle of today’s generation, some factors may affect the open rates of emails. In theory, an email sent between 3-4 p.m. (according to the study statistics) has a 23.63% chance of being opened in the first hour after it was delivered. But in reality, at 5:00 p.m. people are actually on their way home, or stuck in traffic. Between the hours of 6-8 p.m., they would be doing house chores and eating dinner, and the next time they would probably have time to check their emails again would be after 8 p.m. The problem is, 4 hours after delivery, the open rate chances have already dropped to less than 5%, in theory. Still, according to the study, most emails appear in inboxes in the morning; hence, those emails sent in the afternoon have more chances being noticed, opened and clicked. For maximum open and click-rates, schedule emails to land in inboxes no later than 1 hour before top open times, and that’s 8-9 a.m. and 3-4 p.m. The key is to not let your message lose impact by waiting too long in the inbox. https://www.callbox.com.sg/wp-content/uploads/2013/10/When-are-the-best-and-worst-times-to-send-an-email.jpg 200 605 Jayden https://www.callbox.com.sg/wp-content/uploads/2019/01/callbox-logo.png Jayden2013-10-02 04:04:232017-04-19 07:48:08When are the Best (and Worst) Times to Send an Email? Everyone claims to be a social media “expert” – if there is such a thing. They like to dish out advice based on unproven theories, limited experiences, and sometimes pure hunches. Not only that these advices get you nowhere, they also make you look like a fool in everyone’s eyes. An easier task would be to debunk those tips that really don’t have any bearing on one’s social media marketing efforts. Easier, because the burden of proof is on the shoulders of these wanna-be experts, and the absence thereof means they have to be dumped in the trash bin. Bad tip #1: You need to be omnipresent – If your audience isn’t there, what’s the point? Imagine how much energy you can save if you choose which social networking sites you need to be on, instead of being active in all of them. Facebook, Twitter and LinkedIn are a given. If you want to expand, study the ROI. Bad tip #2: It’s okay to automate all your posts – For blog articles, it’s fine. But for updates, comments, and conversations? It’s a no-no to let a robot determine the timing of your posts. Genuine interactions require a living person to initiate or respond. Bad tip #3: You don’t need email – Email is like Elvis. It remains, to this day, the single most successful act in music history. And despite the mania caused by the arrival of The Beatles (social media), Elvis (email) never flinched. That is why for most people, Elvis (email) is still the best. Bad tip #4: B2B prospects are not on Facebook – If this were true, vendors would not have reported that Facebook, and any other social networking sites for that matter, were the source of majority of their online-acquired leads in the last 3 years. Business prospects like to socialize online, too. Bad tip #5: You should ignore negative comments – The operative word is “ignore”, which makes all the difference. You can defend your brand’s name in the most good-natured way possible, but to ignore comments altogether is a different story. Don’t let people think you don’t care enough about what people say. Bad tip #6:Don’t bother measuring social media marketing – Contrary to popular belief, it can be measured. But because of its being dynamic, there’s no industry standard for measuring ROI. That means – you guessed it – you can measure it in your own rational terms. Bad tip #7: You should post X number of updates today – What is the basis of assigning a fixed frequency of posts? Response rates? Visibility? If you have a logical basis for the number, then use it. Otherwise, don’t pressure yourself. Bad tip #8: Social media needs no strategy – Just because social media is unpredictable doesn’t mean a strategy is not practical. There are other aspects of social media marketing that don’t live by spontaneity. Use news releases for exposure, not backlinks. Until fairly recently, common SEO guidance was to “Create backlinks from (press releases) to…supporting pages on your website. Make sure the anchor text of the hyperlink is the keyword phrase you are optimizing for.” But Google now frowns on anchor text links in news releases.That doesn’t mean that news releases now have no value in driving site traffic, but it does change the strategy.First, make sure your news releases are truly newswortthy, and worth sharing. Second, optimize news releases themselves for search. Third, use news releases as part of an overall strategy to build and develop relationships with journalists, which over time can lead to citations and even backlinks which actually are valuable for driving direct and search visits to your website. Much has been said about how a blog must have credible content, responsive design, easy navigation, appropriate colors, and social media links. These are the basic stuff, and they’re no longer a secret to a regular business blogger. But there are still several other aspects of a blog that have become crucial to its success, and most of these are elements that are found right smack in the middle of the landing page, yet overlooked. Why marketers are oblivious to these things is quite a mystery, but the truth remains that they’re as important as the “basic stuff”, too. Your own domain name. A lot of business blogs flourish on Blogger, WordPress and Tumblr, but if you really want to make a name for yourself, you’ve got to spend a little and have your own site put up. It’s the first logical step to professional integrity. A meaningful “About Us” page. When prospects visit your blog, it’s like they’re interviewing a job applicant. And your résumé is the “About Us” page. Enough said. A fully-functional mailing list. Being “fully-functioning” doesn’t mean you have to send them every darned update every single day. It means subscribers are free to choose what information they’d receive, how, and when. Professional photos. What do awkward and poorly-shot photos and profile pictures tell your visitors? Incompetence, lack of taste, and mediocrity. Epic fail. A killer brand logo. While you’re at it, might as well check your blog logo (if you have one, that is). Make sure it’s not easily forgettable, and must be fine-tuned to your blog “personality”. And please, have a professional artist do it. A clean sidebar. Most blogs seem to have been infected with a disease of purposely cramming their sidebars with millions of menus and links, as if doing that makes their blogs look “busy”. Umm, no. It’s confusing, messy, and to be honest, unprofessional. Drop the archives and only display recent and/or popular posts. Mobile version 2.0. It’s more than the usual mobile version where all you can see are the texts and the main logo. If you’re going to maintain a mobile site, think of how it will look on tablets and humongous smartphones. It has to be as functional as the desktop counterpart, or else what’s the point? Relevant writers. Evaluate your blog posts and see if it’s high time to replace your Shakespearean writers with contemporary bloggers, the ones who know what the words “troll” and “meme” mean nowadays. Pages that load faster. On a more technical aspect of things, you should also beef up your page loading speeds. With technology raising the standards of all things digital, you don’t wanna be left behind. Something that’s unique to your blog. It could be the structure, how menus move, how the buttons react, or how pages transition to another. Anything that you could stick to permanently and gives your blog its identity. https://www.callbox.com.sg/wp-content/uploads/2019/01/callbox-logo.png 0 0 Jayden https://www.callbox.com.sg/wp-content/uploads/2019/01/callbox-logo.png Jayden2013-08-29 17:12:552017-06-29 01:41:04What is and isn't "native advertising"? And 5 more questions to ask about it. Having written close to 1,000 emails for MarketingSherpa promoting our marketing products over the past few years, I’ve learned a couple of things I thought I would share with you, many of them from my own mistakes. At Summits, when people recognize my name from their inbox, they ask, “What have you found that works?” What a loaded question, right? I’ve felt much like Edison, but with a marketing spin on it. I have not failed, I’ve just found 10,000 ways on how to not write an email. Much like you, my writing over time has evolved to include some semi-universal best practices which many of us are familiar with, but sometimes get lost in the marketing translation from company logic to customer logic. So, here is a quick refresher. It’s been said most people are either “filers,” who create a specific file folder for each email, or “pilers,” who let the inbox pile up with no hope in sight. Either way, your message is up against an already overflowing inbox. Standing out – and quickly – is the only hope you have. I’m not saying all email messages have to be short, but they should be readable in a skim format. Your audience should be able to understand the main message in five to 10 seconds. Subject lines should be point first or last, not middle. Intro paragraphs should also be short and lead into the body copy, usually three sentences or less. Overall, you should test your email subject lengths to know what your audience prefers to read. Nobody enjoys being bombarded with product offerings and specials. Don’t get me wrong, we all like a good deal, just not all of the time and not every day. Your emails should be an ongoing conversation and always offer real value. Ask yourself, “Does this pass the ‘so what’ test?” If not, then scrap what you have and start over. Use benefit-focused language such as “Get” or “Receive” without making them think about all of the things they have to do. You need to build some trust with your audience and make sure you provide an email address so they can respond with feedback. Have you ever read an email and not understood what they were trying to say? I know I have. From internal acronyms nobody outside the office understands to copy containing three or four calls-to-action, too much clutter is a conversion killer. What works for one company doesn’t always work for another. The only true way to know what works in your messaging is to test. For the MarketingSherpa audience, those who have purchased from us in the past tend to like short, right to the point emails, while new sign-ups tend to like more visual and lengthy copy. It is about tailoring your messages. We’ve gleaned these insights from A/B testing. Before you implement any of my tips, I suggest you test them with your unique audience and product to see if they also work for you. 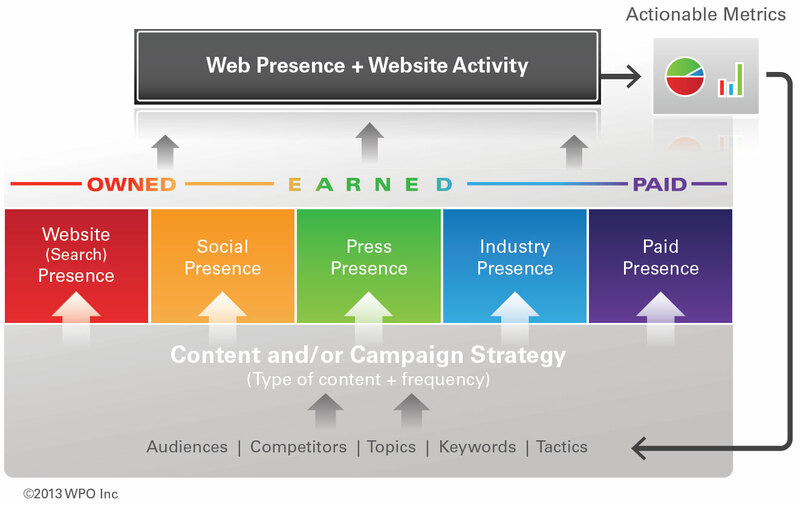 This article originally appeared on MarketingSherpa.com. 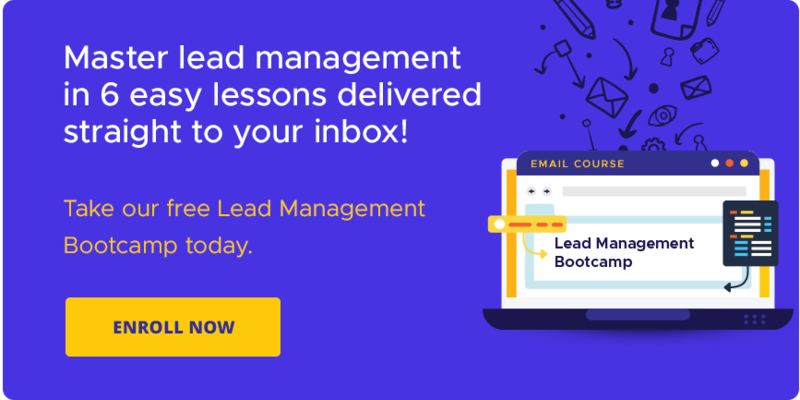 Even though email can be considered “ancient” in internet terms, it still remains one of the most effective means to find business sales leads online. 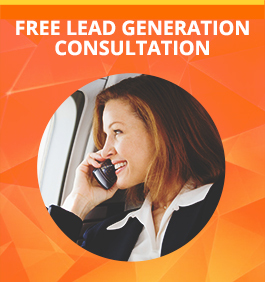 You would be missing out on a lot of potential customers if you haven’t been utilizing this lead generation tool enough. So why is email marketing so enduring and successful, compared to other online marketing tools that have risen and fallen out of favor with marketers? Email is rudimentary. Every single person who uses the internet has an email address, and it is most likely the online communication tool used daily and comfortably by your Singapore business leads. Even technologically-challenged business owners make it a point to know how to send and receive an email. Email is more about business. More so than any other social media platform available today. If you want to be taken seriously by your prospects, sending them an official email is the way to go. Emails marketing is not constrained by the boundaries of branding. No matter what email service provider you have, sending an email to your prospects is basically the same process. Email carries with it the expectation of a product or service offer. This means that your sales leads know that you’re selling them something with your mail, and if they open it, then it means they’re interested in making a purchase! Businesses that need more Singapore sales leads should start to seriously focus on their email marketing, and if your marketing team are already preoccupied with a different lead generation campaign, then you might want to consider outsourcing to a BPO company to oversee your email blast campaigns for you. 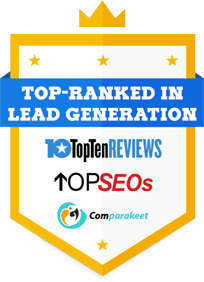 Having this marketing tool in conjunction with other marketing plans such as telemarketing or social media marketing will surely provide your Singapore business with a steady source of quality business to business leads. Is it time for your Marketing strategy to “check-in” on Foursquare? Here’s a great story: On October 22, 2010, when astronaut Douglas Wheelock arrived at the International Space Station 230 miles outside of Earth, he made history. No, he didn’t take pictures of aliens, nor did he stop an asteroid from hitting our planet. So what did he do? Yep. After that he was given the first and only “NASA Explorer” badge by the app, and from then on NASA became more active in Foursquare-dom. The implication is simple: Foursquare is getting more universal. You know, like the universe. Universal. Get it? That story alone should leave you at least convinced to entertain the idea that Foursquare should be part of your marketing strategy. Its biggest growth was in the last 2 years, wherein it quickly jumped to more than 30 million active users. With over 3.5 billion check-ins since its inception in 2009, it’s slowly becoming the ultimate geo-social tool. Are you ready to inform the Mayor that you’re coming to town? Social word of mouth. Imagine if Justin Bieber, Katy Perry and Lady Gaga all checked-in at your business site and makes sure everyone in cyberspace knows about it. That’s 122 million people immediately getting that information, and that’s only on Twitter. There’s still Facebook, Instagram, and so on – ah, you get the point. That’s the power of social media. You’re probably there already. Before you even think of getting on board, you might want to check if you’re already on everyone’s maps. In Foursquare, locations are created by people themselves, so your “physical” existence is a perfect jump board to start your campaign. Trends. Just like Twitter, Foursquare also manages trends, and this becomes a convenience for people who actually use “trending” lists to decide which places and brands they want to patronize. Marketers prey on that information. Instant demographic. As a by-product, marketers are conveniently provided with useful data at their disposal: frequency, day and time of check-ins, first time visitors, top visitors, feedback, and competition. This could help in identifying, predicting and controlling behavior patterns. Everything “follows”. Not only that you have data at hand, you also who the actual supporters of your company or brand are. You can “follow” your visitors and “follow-up” with promos and updates. This can also facilitate in getting feedback and participation from them, which is a great source of constructive input. Contests and loyalty rewards. 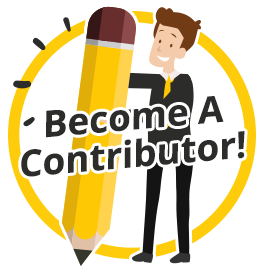 Now that you know the people who have been keeping your company alive, why not spice things up with contests and perks? Give them more reasons to patronize your brand, and they’ll willingly heighten the buzz for you. https://www.callbox.com.sg/wp-content/uploads/2013/08/Is-it-time-for-your-Marketing-strategy-to-“check-in”-on-Foursquare.jpg 200 605 Jayden https://www.callbox.com.sg/wp-content/uploads/2019/01/callbox-logo.png Jayden2013-08-20 02:11:502018-05-01 09:50:12Is it time for your Marketing strategy to “check-in” on Foursquare? According to Jay Baer, president of Convince and Convert, you don’t have to like just either. At last year’s MarketingSherpa Email Summit, he showed how email and Facebook can be fully maximized in reaching your market by integrating them. Click here for an excerpt of his talk from the summit as seen in MarketingSherpa. 00:10 “If somebody is subscribing to your email newsletter on your website, on your thank you page, why not ask them to also like you on Facebook?” Jay asked, citing many brands he has audited have not tried this approach. 2:26 Jay explained why marketers who are doing advanced segmentation should turn to connecting Facebook accounts to websites to collect information from customers. Instead of having customers fill out a lengthy form with their information, allowing them to connect their Facebook accounts makes it easier on them to give up their information and faster for marketers to collect this essential data. Have fun harmonizing your marketing efforts with Madonna and Lady Gaga!